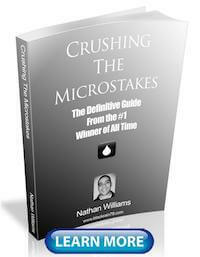 A lot of younger poker players contact me with big dreams about becoming a poker pro. They are usually somewhere between the age of 18 and 22. On occasion they are even younger than this which means that they shouldn't even be playing poker for real money in the first place! Anyways, these guys (the legal age ones) have all the enthusiasm in the world and are ready to put in 16 hour days at the tables. I love the drive, the excitement in their voice and the limitless potential that they see. Oh to be 19 again! As someone who has played this game as a pro or semi-pro for over 10 years now I hope to impart a little bit of life experience in this article. 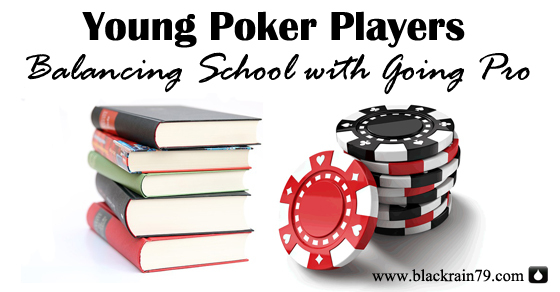 I will be primarily speaking to these younger guys who are in College or University right now who have big dreams for a future career in poker. This article will still be useful though to anyone else who has ever considered playing the game on a professional or a semi-professional basis. Let me explain my story a bit more first. I have to admit that I ran good in this game even before I ever played my first hand. I am in my mid 30's now but poker blew up right as I was finishing school. Chris Moneymaker actually won the WSOP just a month before I graduated. When the subsequent poker boom happened and online poker took off I quickly became absolutely obsessed with the game like many others. Almost every waking moment of my life for the next 5 years was spent playing the game or thinking or reading about it. I had all the dreams of becoming a poker pro of course. I have probably watched "Rounders" 79 times. I would stay up late watching episodes of the WPT or High Stakes Poker every night. 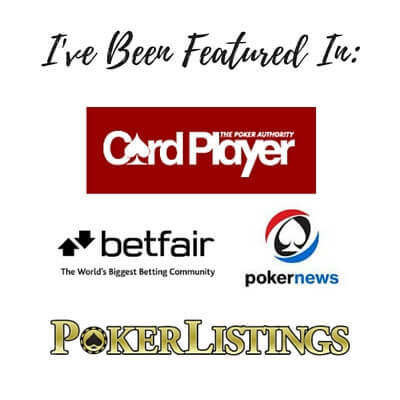 And of course I idolized all of the big online poker pros of that time period like Prahlad Friedman, Brian Townshend, Dusty Schmidt and many others. The games were also absolutely amazing back then during this "golden era" of online poker. There were a lot of fortunes quickly made. If your graph wasn't 6 or 7 figures, nobody cared. That was it. I was going to be a poker pro. I didn't care what anybody told me. That was 2005 though. This is 2015. What has changed in the last decade? The entire poker landscape has completely changed. There is arguably more online action than ever before but the games are also probably harder than they have ever been before as well. People aren't stupid and they won't just keep throwing away their money forever. 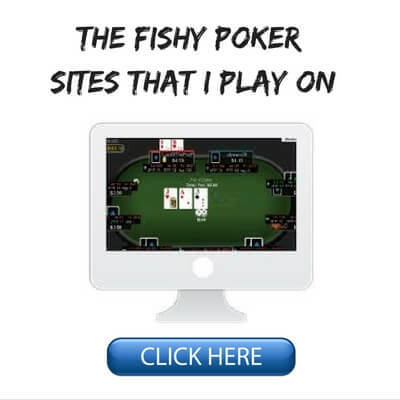 There has also been all sorts of government meddling with regards to online poker in the past decade, a global recession to contend with and a lot of broke fish who slowly lost their interest with the game. It is really hard to be a poker pro these days. 5 figure or even 4 figure graphs are what people are bragging about now. There are tons of people grinding out a living at extremely small stakes and making a pretty meager income by Western standards. And many people have simply moved to some other country to take advantage of a lower cost of living or to escape government meddling with the game in their own country. Lastly, the stability of most online poker sites (except for the industry goliath Pokerstars) is always a bit of a question mark. And players are also constantly at the mercy of whatever changes that these sites decide to make. Some of them can have a huge impact on their bottom line. Here's the thing though, there are still plenty of people who make a good living playing online poker. There are still many who make a great living at it as well. And as I have mentioned before, this will always be the case assuming that the rake remains relatively the same. The reason why? Because there will always be a pecking order in poker. Imagine for a second that you were considered to be the #6 best poker player in the world. That would be amazing right? You would literally be able to print money in almost any game on earth. But what would happen if you were forced to play every day at a table with the #1, #2, #3, #4 and #5 best players in the world? That's right. You would be the fish! You would slowly be bled dry and you would be the entire reason that this game runs. This is becoming more and more the case with online poker in today's games. The fish are scarce and that is why I constantly hammer on about table selection to no end on this blog and elsewhere. You have to find the weak spots. They are what fuels the entire industry. And in the complete absence of fish, which is sometimes the case these days at the mid and high stakes games, you have to feed off the weaker pros. It is not easy to beat another poker pro. They aren't idiots. 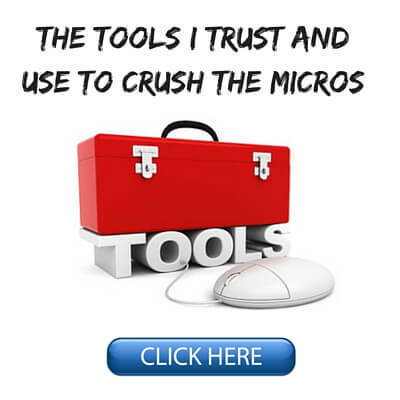 You aren't going to crush anything at a table that is composed entirely of professionals. Poker is no longer the gold rush that it was 10 years ago. Those times are long gone and it is likely that unless the game somehow explodes in Asia that we will never see something like that again. If it is your dream and goal to become a poker pro in 2015 then you have to understand that it will be a difficult journey and you are probably going to have to work harder for it than in years past. Despite all of this doom and gloom, as I said before, there are still plenty of people out there making a good to great living with online poker. I have lived in Thailand for the past 3 years now which probably has the highest concentration of online poker pros anywhere in the world (they are literally all foreigners of course). So I see it with my own eyes every day. Sure, there are a lot of grinders in this country scraping by at the micros and taking advantage of the low cost of living. However, I have also met tons of other guys that are absolutely killing it at much higher stakes. They could easily live the good life anywhere they want on earth. Most people are going to lose in this game in the long run. This is the way that it has to be. As I always say, for most people poker will always remain a hobby that doesn't exactly pay so well. But a select few will always rise above the rest and really succeed in a big way. These people who really crush the games probably represent 10% of the player pool at the most. It might even be closer to 5%. But guess what? That is still a relatively huge number of people! 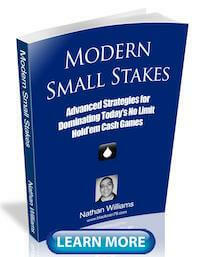 I have heard estimates before that Pokerstars may have close to 50 million accounts. The large majority of these are play money of course. And the large majority of all accounts are inactive. But even if they have just 1 million active real money accounts you can see that 5% or 10% of this number is still a very large amount of people. So don't despair when a bunch of bustos on a forum are proclaiming that online poker as a career is "dead" or some other BS. Most of these people are part of the vast hordes of breakeven or losing poker players. Being able to blame their lack of success on some outside factor is simply a defense mechanism for their ego. Yes, the games are hard these days. Nobody is going to deny that. But there is still plenty of good money to be made for those that really want it. 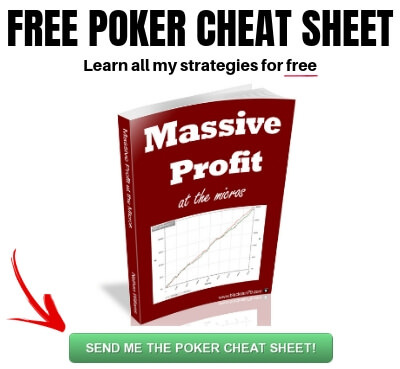 So if it is your absolute dream to be a poker pro in 2015 should you go for it? Bringing this discussion back to the younger guys who are currently in College though, it is a much better idea to keep your future poker plans on the side for now and make getting your degree the main focus. Poker will be alive and well in 4 years or less when you graduate. There is absolutely no need to play as much as you can right now. Furthermore, since everybody seems to agree that the games are harder than they have ever been right now, then it can probably only get better in the future right? You aren't missing some "golden era." As mentioned, that's ancient history, 10 years ago. I know how hard it can be to limit yourself from playing all the time when you are just getting started. As I said before, I was obsessed like crazy with poker for years when I first started and still am to a certain degree. I am probably very lucky that the poker boom didn't happen until after I finished school. But you have to understand that you have your whole life ahead of you to pursue your career as a poker pro after you graduate. 2. Professional Poker is Not a Sure Thing. However, a Degree is. The reason why I stress getting the degree finished is because it is simply one of the best investments in yourself and your future that you can possibly make. I know that with rising tuition fees and struggling economies in many Western countries that there has been a large debate in recent years about the value of a University degree. "The most reliable ticket to the middle class and beyond." Look, we are poker players. We think in terms of EV (expected value) and odds. No matter how good you think you are at poker (or can be) the simple facts are that most people do not make it in the long run in this game. However, for most people a College degree will always provide at least some reasonable opportunities in life. For many more, it leads them into well paying careers. Now of course you don't have to get a degree in order to get a well paying job or start your own business. There are countless examples of people who have proven this. But if you have already decided to attend College why not just finish what you started? What's the point of putting in all that work for a year or two and then quitting? That is the poker equivalent of calling the whole way and then folding the river. Let's also remember here that life isn't only about money. My degree for example is in History with a minor in Philosophy. It is very rare that a discussion about 16th Century European wars or the "Essence of Being" comes up at a cocktail party...or anywhere for that matter. This is actually a real shame because I would totally own in these debates! I also paid a lot of money for this education which clearly isn't a prerequisite for my career as a professional poker player and writer. However, I do feel like I am a far better person because I spent all those years learning about Western history and thought. I feel like I have a much broader perspective on things. And also, since History and Philosophy are both heavily academic fields, I feel like I am better able to articulate myself and my writing ability has no doubt benefited from it as well. These are simply invaluable skills to have no matter what you choose to do with your life. A lot of people dropped out of school during the poker boom to chase their dreams in this game. And it did in fact work out exceedingly well for some of them (at least financially). Back in the early, early days of online poker I still remember watching the high stakes games on Partypoker where you would see people with thousands of dollars in front of them who barely understood the rules of the game. But many people who dropped out of school during this period didn't make it in the long run. Even in these ridiculously soft games they still couldn't make it work for a variety of different reasons. As I have talked about before, making it as a professional poker player over the long term requires a heck of a lot more than being "pretty good at cards." It takes a very unique individual to be able to play this game for a living year in and year out. After all, if it was so easy everybody would be doing it! I am not here to crush anyone's dreams though. I have laid it all out on the table in this article. The games are tough, the online poker environment is a bit unstable and being a poker pro is a very difficult profession. I am firm believer in chasing your dreams and passions in life. I should be sitting in some corporate cubicle right now reading about somebody else's life as a poker pro, writer and living abroad. That was the safe route for me to take in life. That is what everybody told me was the sensible thing to do. I would probably have a lot more money as well. But I wouldn't be happy. And that is why I am sitting here right now writing the story instead. 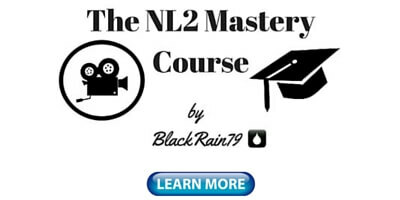 If you truly have a deep passion for poker, then I think you should go for it. Give it a shot especially while you are young. The worst thing that can happen is that you find out after a year or so that it wasn't for you and you move on. A lifetime of regret about "what could have been" might be a far bigger price to pay. But if you are currently in school then make the +EV decision and finish your degree before going pro. You have your entire life to grind it out and make your name in the poker world. Believe me, a couple of years spent investing in your mind is not something that you will ever regret. 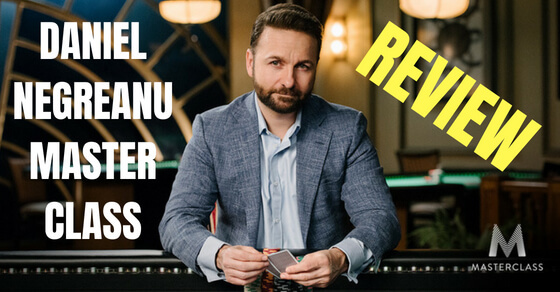 Let me know your thoughts on poker and school in the comments below. If you have any questions about playing poker professionally let me know also. I would be happy to help. If you know someone who is currently struggling to balance school and poker go ahead and send them this article. Or click the "Like" or "Tweet" button below. Interesting article. However, I'd like to add one thing: most people will be long-term losing folks because they won't put the necessary work to get better. It's only a matter of time, then, until they vanish from the poker scene. Good point and very true. Very good article and at the same time melancholy left a bittersweet taste. I am undecided I really left without words. It is very good to know. Much more important if they come from you. How much money do you spend each month? I would only like that or what would be the comparison of the profits with the "golden age". Thanks glad you liked it! My monthly expenses are always different depending on where I am living and what I am doing. Still plenty of money in poker for those willing to work hard for it. Just isn't handed to you on a silver platter like it was 5 or 10 years ago. Hey, Im 18 and I have feeling that this article is made for me. Im regulary read your blog and I think this one helped me the most. I have plan to finish college and go to university. I treat poker as hobby and play it in my free time instead of playing other computer games. Since I got interested in poker I pay more attention to my mindset and ethic work. Despite the fact that I have played only few thousand hands I became a better man. Thank you! Thanks Karol, glad I could help! All the best with your studies too.